The output of photogrammetry is typically a map, drawing, measurement, or a 3D model of some real-world object or scene. Many of the maps we use today are created with photogrammetry and photographs taken from aircraft. Photogrammetry is one of GeoShot’s core business areas. 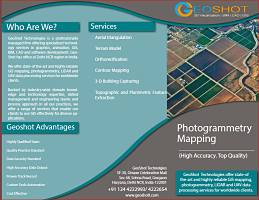 GeoShot has been providing services and solutions in digital photogrammetry to worldwide clients, with extensive experience at the management level, highly qualified, well trained and skilled staff along with the latest equipment/software, we are well equipped to provide the full range of services in digital photogrammetry. 1. Aerial TriangulationAerial Triangulation is done for raw images with given ground control points. 3. Ortho RectificationUsing with DEM, the ortho is generated and tiled by as per requirement. 4. 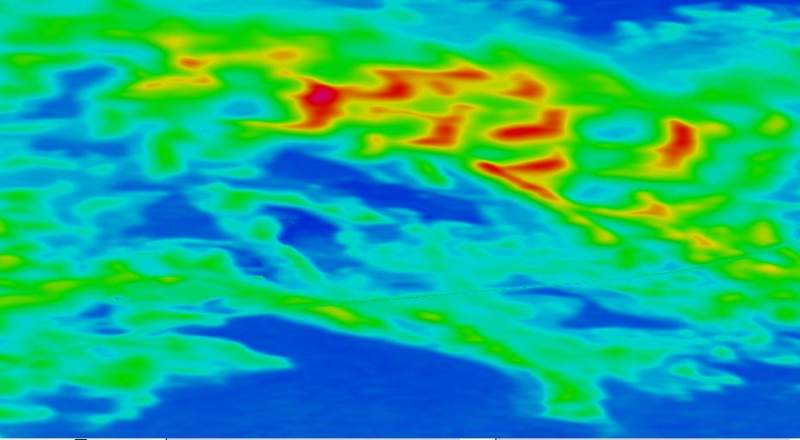 Topographic and Planimetric feature extractionRequired features are captured in stereo environment with photogrammetry software. For more description and examples of our Photogrammetry Mapping services, please visit our Photogrammetry Mapping service dedicated website - .